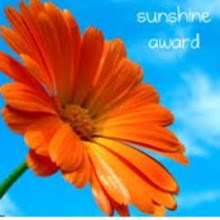 Sorry it's been rather a long time since I have been into my little blog to update it. It's just one of those things life gets in the way. 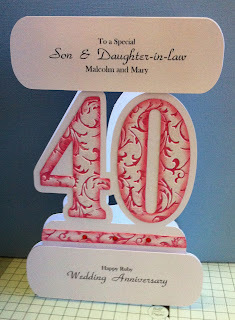 Here is a ruby wedding anniversary I made using my Pazzles Inspirations to cut the card shape and the large 40. I run the 40 through the big shot in an embossing folder that had been coloured with a memento ink pad. The wording on the card is computer generated. I didn't want to cut into any more card so decided to try out a technique I had read some time ago. I couldn't quite remember the full details, but enough to do an experiment. I wanted the wording just in the right place so printed it onto tracing paper first. I put some double sided tape on the back of the shape I wanted to print onto, and attached the shape on top of the printed sentiment, I used tracing paper so I could see the shape through the back and get the wording just in the right place. Once the in the right place I ran it through the printer to print onto the shape. In the experiment I used a scrap piece of card and had a perfect result. So was confident enough to go ahead with my card. I was rather chuffed with the result. Well that's all for now. Thank you for stopping by. I will be back soon.